Cooking Area: 150 sq. in. It's easy for me to handle when on the go and cooks just like a big grill. I love it! 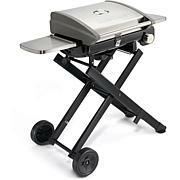 For a small grill it works great! 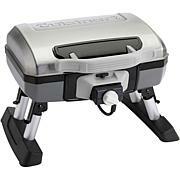 I LOVE my Cuisinart Petit Grill! It truly lives up to being a Cuisinart. Excellent quality for the price! I live in a condo and have limited deck space.....this grill fits my needs perfectly. 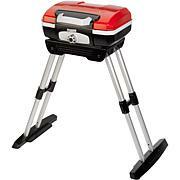 Its compact, yet has the space I need to complete my meal on the grill. From a simple burger, to a steak and grilled veggies, I can do it all on this grill and have a great outcome.